Mike Ladle is a lifelong angler and a marine biologist. Mike will fish for anything that swims, but prefers to be on the seashore, and says that for strength, stamina and sheer thrills, mullet are high on the list of the many species he has caught. 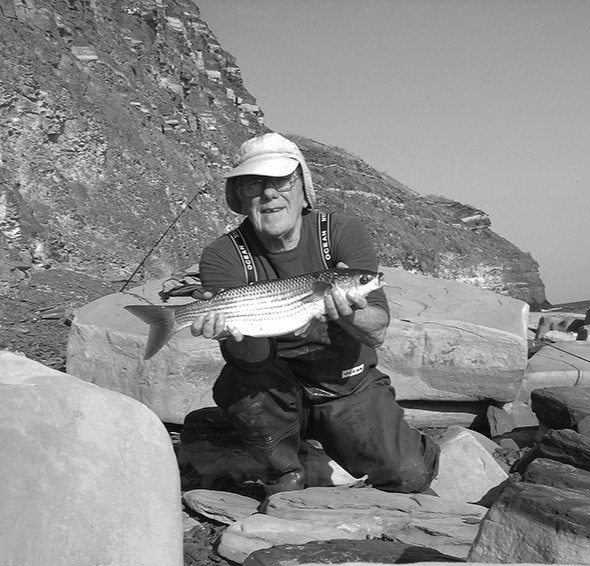 Since moving to Dorset over fifty years ago, this self-confessed fishing fanatic has landed lots of reputedly ‘elusive’ mullet on conventional gear, but has particularly enjoyed using, adapting and enhancing extremely innovative and effective fly fishing and spinning approaches. Fishing for Ghosts - Successful Mullet Angling, co-authored with David Rigden, is now in stock.